Fethard-on-Sea is a village on the Hook Peninsula in Co Wexford, Ireland. There is a memorial in the village to nine members of the RNLI (Royal National Lifeboat Institution), who died at sea over one hundred years ago. They were taking part in one of the greatest rescue operations ever undertaken off the coast of Ireland. 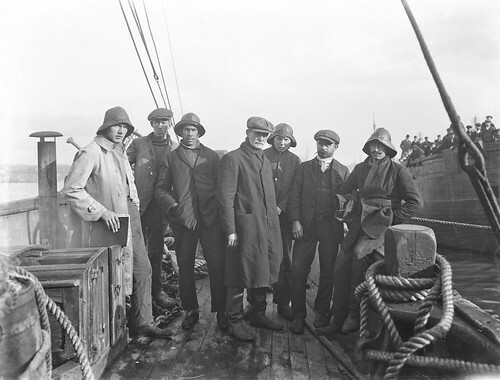 The men who died were attempting to save the crew of a ship which had run aground off the Wexford coast. The ship, a Norwegian schooner called ‘Mexico’, had hit rocks near Keeragh Island off the coast. The ‘Mexico’ was enroute from the port of Laguna in Mexico to Liverpool in England. The ship was carrying a cargo of mahogany and cedar when it ran aground near Keeragh Island. In response to distress signals the Fethard lifeboat, called the Helen Blake, set out to rescue the crew of the stricken ship in what were described as mountainous seas. By the time they reached the schooner, it had already begun to break up. The Helen Blake was struck by a huge wave and it was filled with water. It was then thrown onto the rocks and completely destroyed. Nine members of the lifeboat crew (Christopher Bird [Cox], Thomas Hendrick [Bowman], Michael Hendrick, James Morrissey, Patrick Roche, Patrick Cullen, William Bird, William Banville and Patrick Stafford) of fourteen lost their lives. The five survivors of the Helen Blake and the seven survivors of the Mexico scrambled onto Keeragh Island. They were eventually rescued by other boats after they had spent two days on the island. All except one of the crew of the Mexico were saved. Reports of the event attracted world attention. A relief fund was established which attracted contributions from Ireland and from around the world. King Haakon and Queen Maud of Norway made donations to the fund which eventually reached over £9,000. The fund was used to support the families of those who had lost their lives in the rescue attempt. 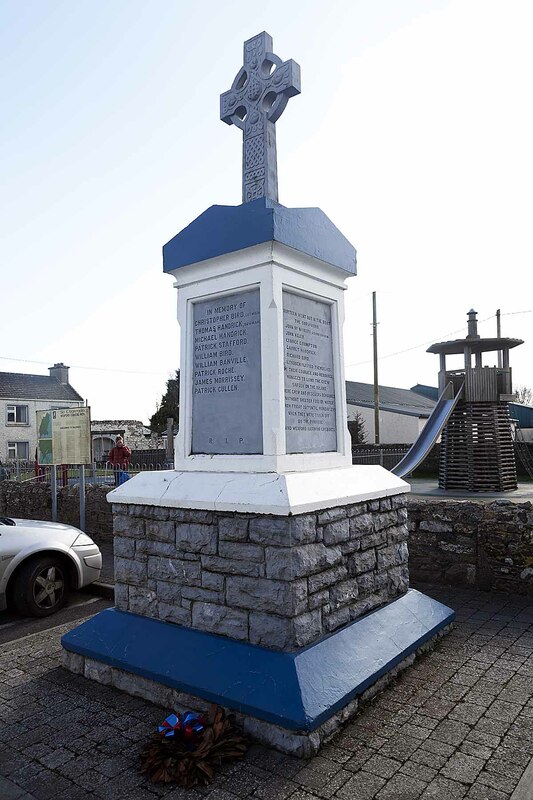 The Fethard Lifeboat Disaster occurred off the coast of Wexford in the year 1914 On This Day. 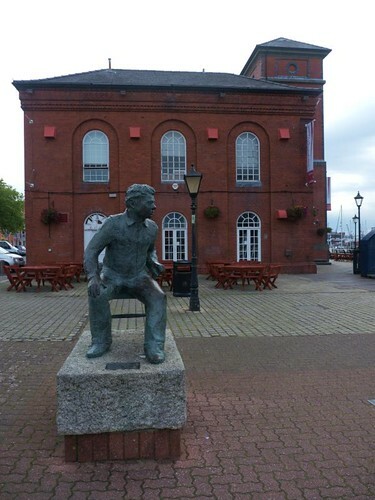 Dylan Thomas was a poet and writer who was a native of Wales. He is famous for such works as ‘Do not go gentle into that good night’ and ‘Under Milkwood’. Dylan, who became a very popular poet during his lifetime, died in 1953 at the age of 39. Dylan Marlais Thomas was born in Swansea, Wales in 1914. He left school at sixteen to become a journalist and had his first literary success with ‘Light breaks where no sun shines’ in 1934. He spent the summer of 1935 in Donegal. He was married to Caitlin Macnamara. 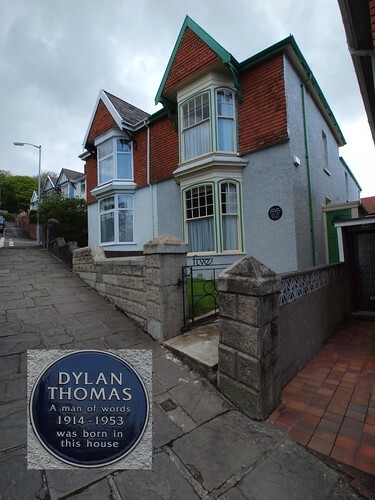 Dylan Thomas was born in the year 1914 On This Day. Photo by Gareth Lovering Photography 3,000,594 views. Over 14,000 vessels pass between the Atlantic and Pacific oceans via the Panama Canal annually. The Panama Canal was formally opened when the SS Ancon passed through the canal in the year 1914 On This Day. John Phillip Holland was born in Liscannor, County Clare on February 29th 1840. His father was a coastal patrolman with the British Coastguard Service. Holland grew up speaking Irish and only learned English at his local national school in Liscannor. Having completed primary education he attended the Christian Brothers School (CBS) in Ennistymon until his family moved to Limerick city where he attended Limerick CBS. Holland later joined the Christian Brothers. He was a teacher of mathematics in schools in Armagh, Portlaoise, Enniscorthy Drogheda, Cork and Dundalk until 1872. Holland left the Christian Brothers and emigrated to the United States in 1873. He settled in Patterson, New Jersey. He became a teacher at St John’s School, Patterson which was run by the Christian Brothers. In 1879 Holland, with financial support from the Fenian Society in America, built a small submarine. 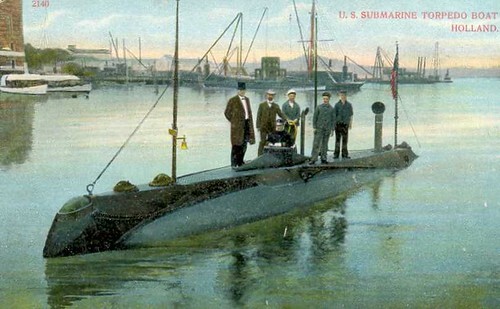 The submarine, which was called the Fenian Ram, had limited success at first. The Fenians had hoped to use the submarine against the British navy but the plans never materialised. The Fenian Ram is now in the museum in Patterson New Jersey. 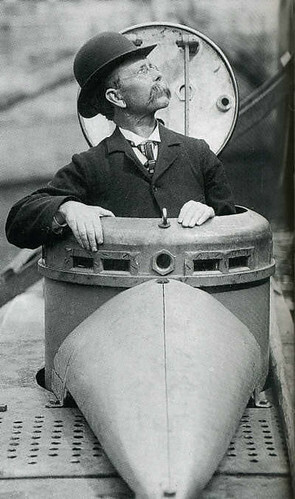 Holland continued to develop his design and his submarine had a successful test off Staten Island in New York harbour on St Patrick’s day 1898. The submarine was purchased by the US navy and was named USS Holland. Six more submarines of a similar type were built for the US Navy. Holland later designed the first submarines for the British, Dutch and Japanese navies. John Phillip Holland, builder of the first submarine and native of Co Clare, died at the age of 74 in the year 1914 On This Day. Charles Lucas, whose actions were the first to result in the award of the Victoria Cross, was a native of Poyntzpass, Co Armagh. He was given the award for his gallantry during the Crimean War in 1854. Lucas was 20 years old at the time at the time of the award. The Victoria Cross is awarded for ‘most conspicuous bravery, or some daring or pre-eminent act of valour or self-sacrifice, or extreme devotion to duty in the presence of the enemy’. Charles David Lucas was born near Poyntzpass, County Armagh on February 19th 1834. He joined the Royal Navy at the age of thirteen. 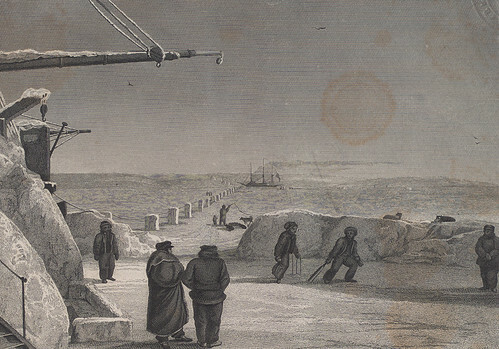 Lucas was serving on board HMS Hecla in the Baltic Sea on June 21st 1854. The ship was part of the allied force attacking Russia during the Crimean War. A fort on the Áland Islands of the coast of Finland was being bombarded by the allies when a live shell landed on the deck of the Hecla. An order was given that everyone lie flat on deck. Lucas however picked up the live shell while the fuse was still burning and threw it overboard saving crew members from injury or death. The Victoria Cross which was awarded to Charles Lucas was given on loan to the National Museum of Ireland by the National Maritime Museum of Greenwich, England in 2007. The award was included in an exhibition called ‘Soldiers and Chiefs – The Irish at War at Home and Abroad from 1550’. Charles Lucas whose act of bravery led to the Victoria Cross being awarded for the first time in history, died at the age of 80 in the year 1914 On This Day.